What’s it like to study MBCY yoga from nina be? creation languages emerging from conversations in deep examinations gleaned during many a 'dark night of the soul'. how to free the self? from such fascinations, we are all artists, as co-creators, who have come to the other side of some darkness, hold up a light from which others may be guided into grace. The ultimate purpose of hatha raja yoga is self realization in order to be liberated. Sometimes contemporary yoga approaches can feel more like we’re not good enough and illicit / trigger our tendencies to be competitive and self loathing. This is not the intention of yoga. 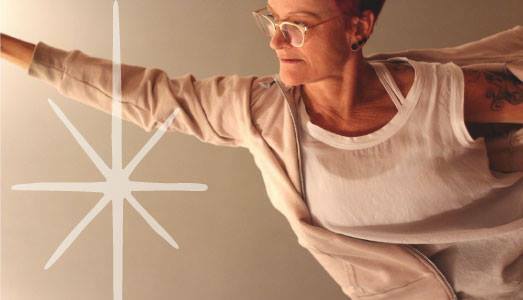 When you decide to participate in a mind-body centering yoga class with nina be, or any of the beautifully trained teachers from the Mbcy program, you’re invited to be authentic; you are invited to explore the deepest and sometimes most vulnerable parts of your wisdom. We know you are here for a very particular reason and we want to affirm that purpose. Attending a yoga class can be an amazing experience as long as we are home with ourselves. If we begin to make the teacher or the other students in the room, or even the challenge of the most perfect asana the reason we are in class, we are being dominated — our small self may look out from the window of our hearts and wonder why we’ve left home. Yes, focusing into the heart is a high practice called drishti. The heart is said to be the seat of the soul and the bliss body, where there is quietude and stillness and the ability to accept the conditions of the present moment. This indeed is our power that resonates deeply from the center of our Truth… that ‘all is One’. MindBody Centering Yoga is meant to be attentive and quiet enough so that one can find every part of one’s yoga practice tucked away within one’s pure nature. The environment is meant to be beautiful, inspiring and fantastical, perhaps otherworldly; a place where a human being can realize they are the cosmos and the cosmos is them. We hope you will come find us in the dream space ... off the beaten path out of the hustle and bustle of fast cement walls and sky-less roofs. Come meander to Dillard Street or Costa Rica or California or Virginia & find a MBCY magical yoga teacher, plug-in and enjoy the miracle of you! Sign up to receive blog updates and more from MindBody Centering Yoga.